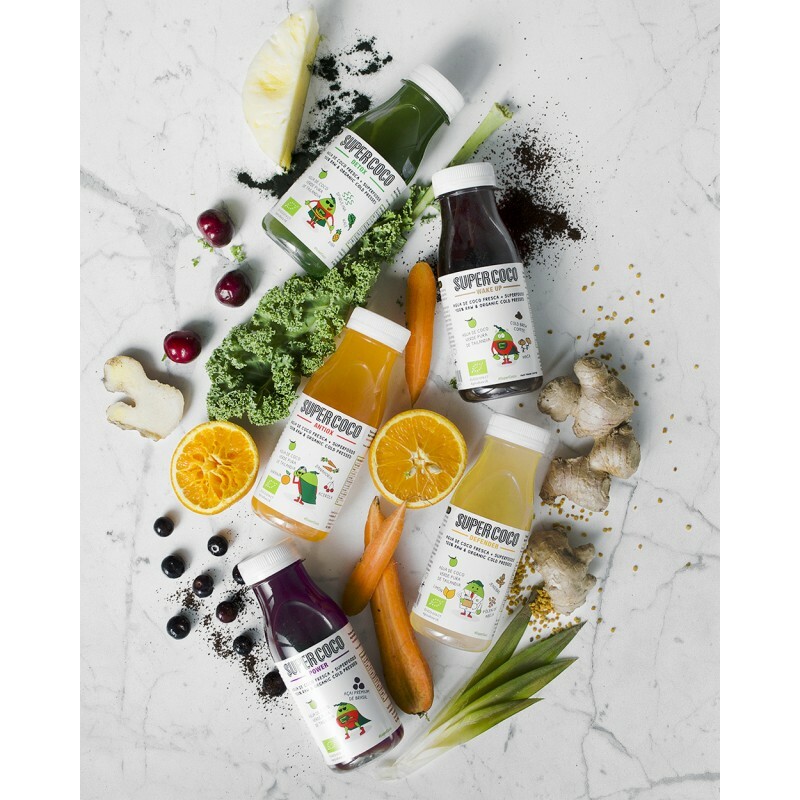 Made fresh with Organic Coconut Water from young Nam-Hom Coconuts. ANTIOX: Still looking for the Holy Grail?. Now, it is just in front of you. 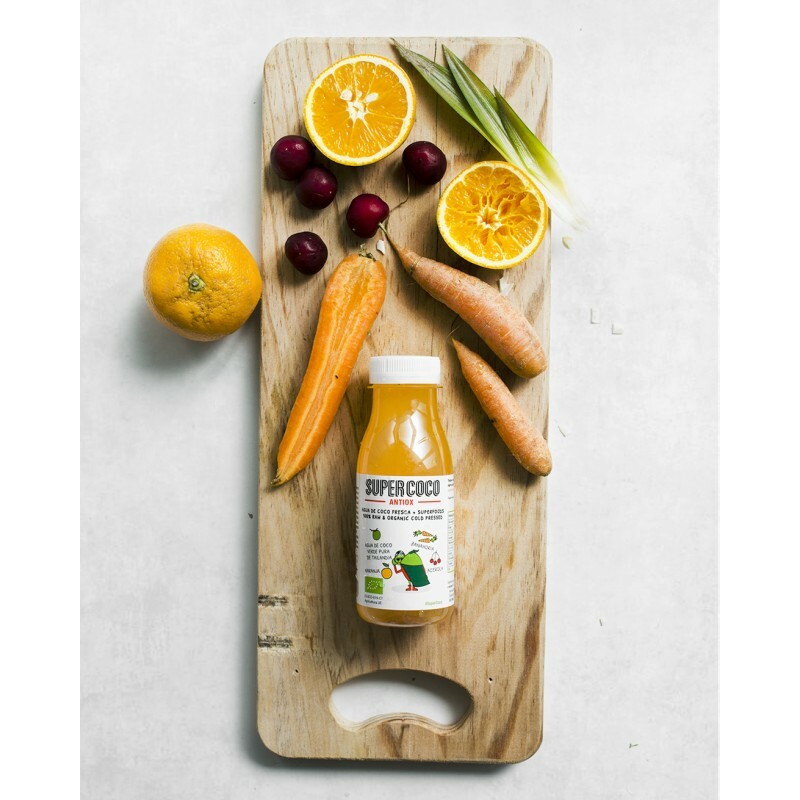 Antiox the juice of eternal youth and Benjamin Button's top secret drink. 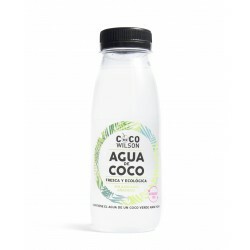 Coconut water is the king of SuperFoods, a natural energy and isotonic drink with 5 essential minerals, antioxidants, fat-free, gluten-free, diuretic and more potassium than bananas. 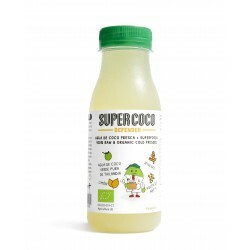 SuperCoco and the Superfoods bring you, more magical drinks. Full of benefits and flavor. Try it! 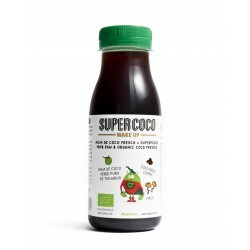 SuperCoco is a perishable product and must keep refrigerating around 0º and 4º Celsius. Must refrigerate promptly after opening and use within 3 days. Caducity: See date on the top. 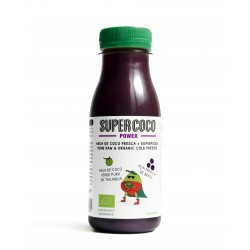 Know more about supercoco and the superpower drinks!